Mercedes-Benz. 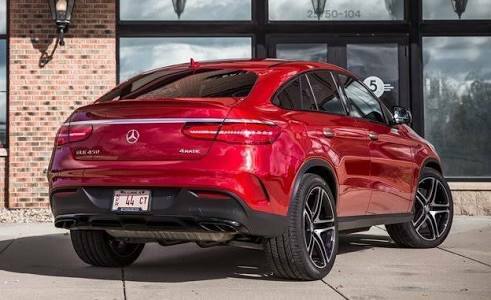 Even we all are familiar with the styling cues of Mercedes’s current design language—the LED swoosh crossing the headlight. This AMG has an impressive performance from a 3.0 litre V6 biturbo engine with a power output of 367 hp and 520 Nm of torque. Interiors: The interiors are really the particularly designed with a 3-spoke multifunction sports steering wheel in black nappa leather with flattened bottom, sports seats for driver and front passenger with sports brushed stainless steel sports pedals with rubber studs and embroidered "AMG" lettering on the ‘AMG’ floor mats. 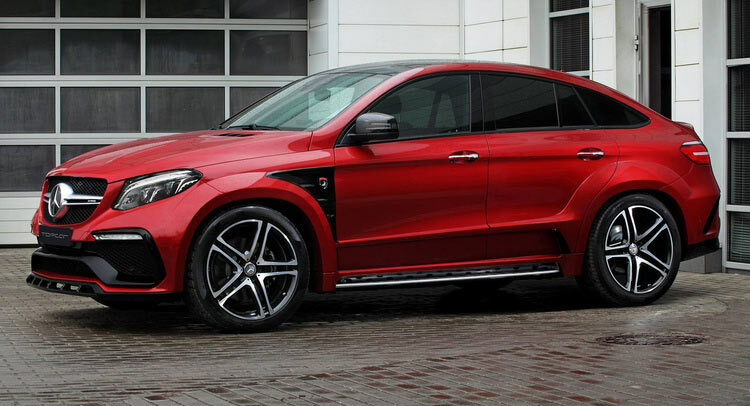 The GLE 450 AMG Coupé has given an instrument cluster with dials in checkered flag look and offers an ambient lighting package with 3 colors and 5-stage dimming options for the desired lighting mood. The vehicle is presently manufactured at the company's plant in Tuscaloosa, North America.